Looking for practical tips in the field of door locksets and keys? 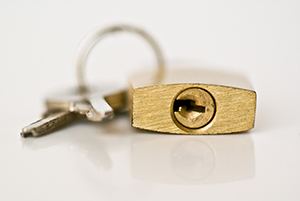 You have just found a top source of advice in the locksmith industry. It is directly accessible to everyone who is interested in learning how to achieve and keep the optimal level of door security at all times. Young children are not very mindful of their safety. To protect them from drowning in your own pool, make sure that a pool gate is installed. Make its security complete by using a half deadbolt that is installed high enough to be out of reach of your children. All security measures need to be in place to keep you, your family, and property protected, especially if you live in an unsecure neighborhood. You can easily do this by ensuring that a deadbolt lock is installed in all exterior doors. They add an extra layer of security to put off burglars, thieves, and intruders alike. If you are not a skilled key-keeper and tend to lose or misplace keys to your home, office, or vehicle, it is advisable keeping a set of duplicates in a safe hidden place that you can access anytime. You may also entrust the set to a trusted neighbor or a relative or friend who lives nearby.